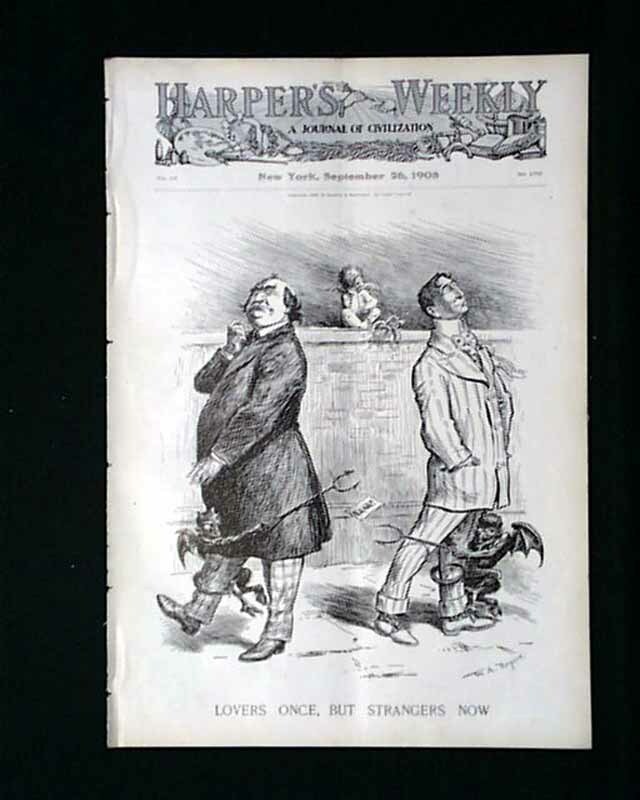 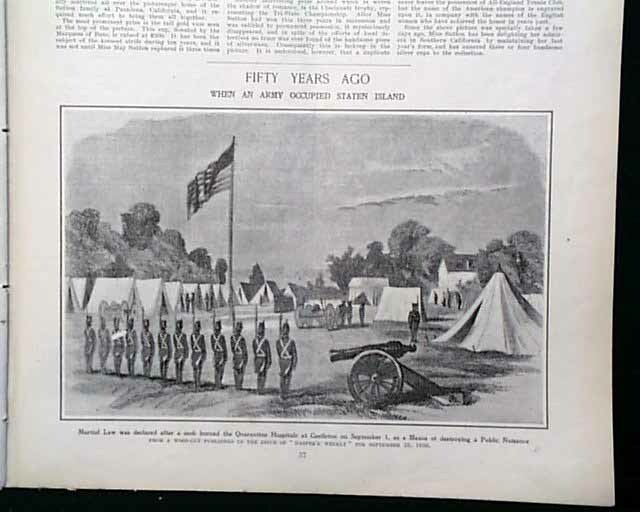 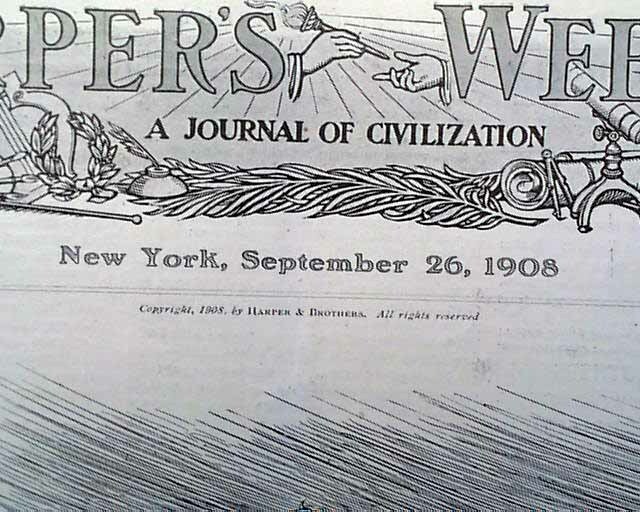 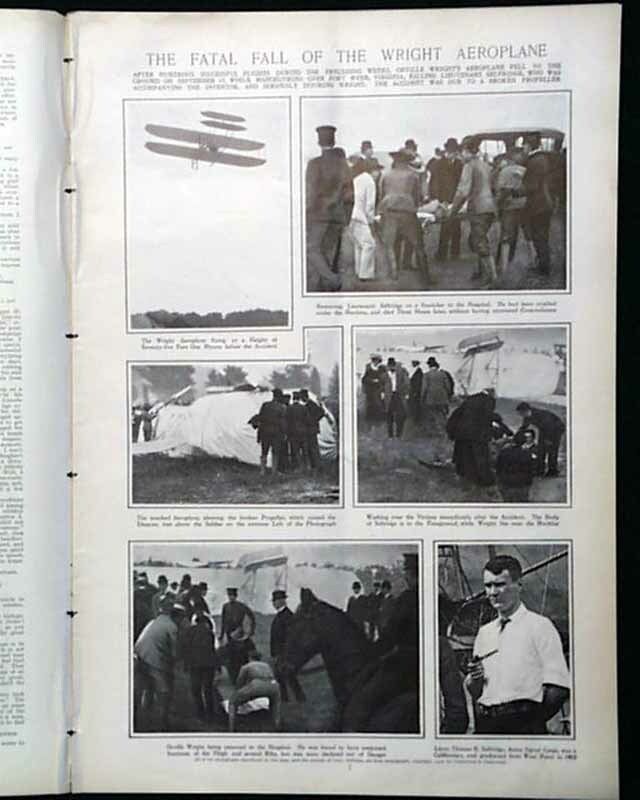 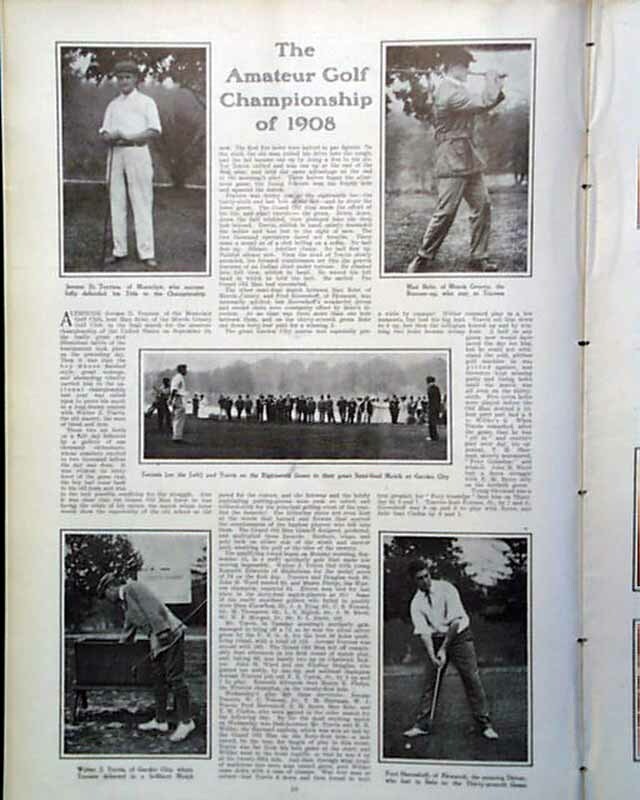 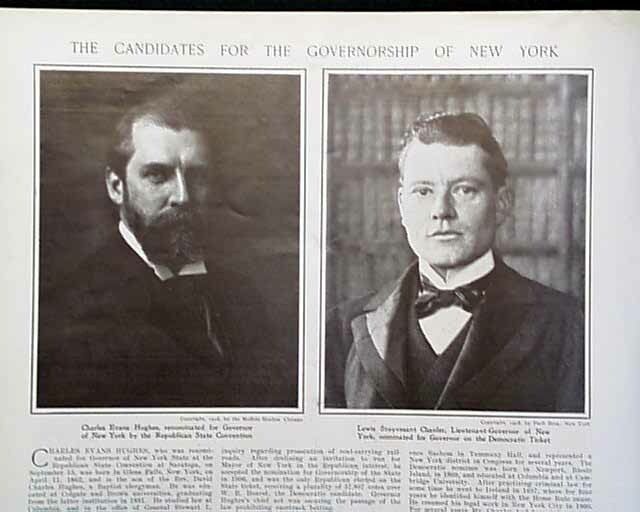 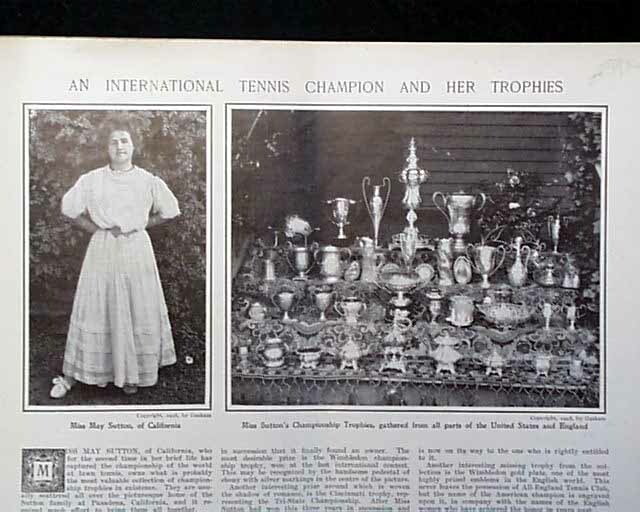 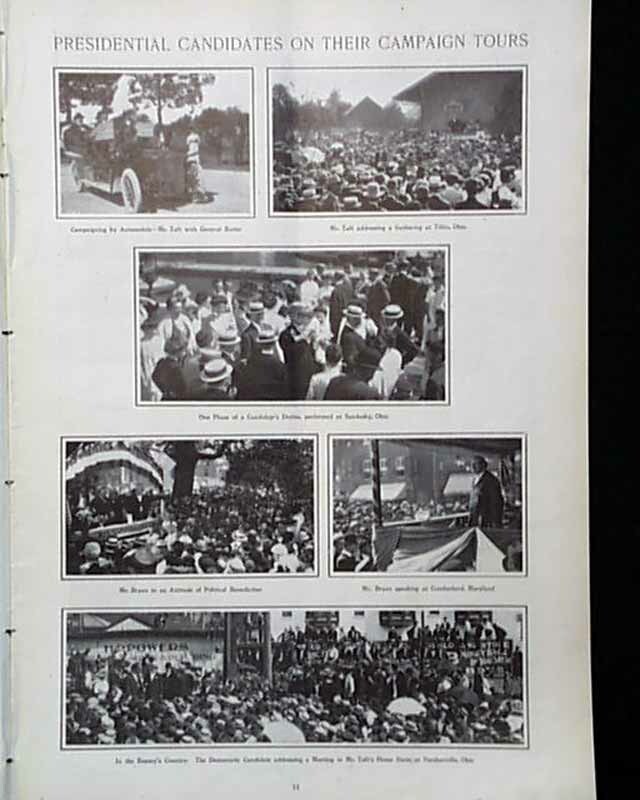 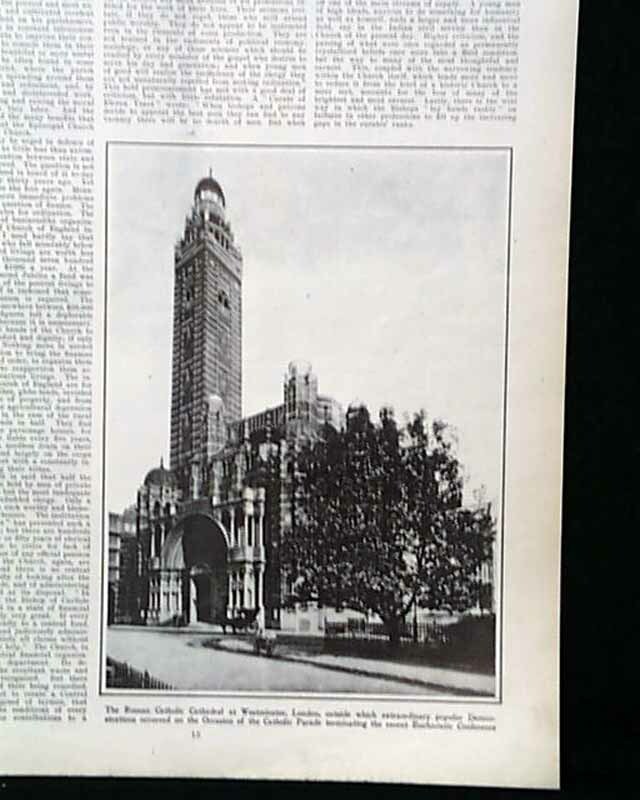 This issue has photos of "The Fatal Fall of the Wright Aeroplane"; "The Candidates for the Governorship of New York"; "The Amateur Golf Championship of 1908"; "Presidential Candidates on their Campaign Tours" and "An International Tennis Champion and Her Trophies." 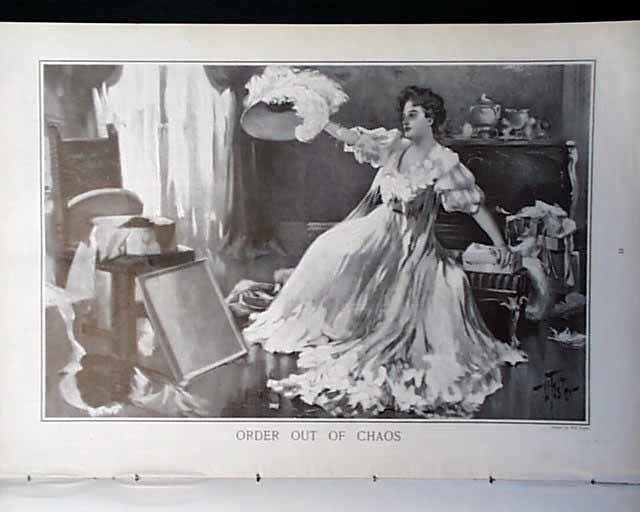 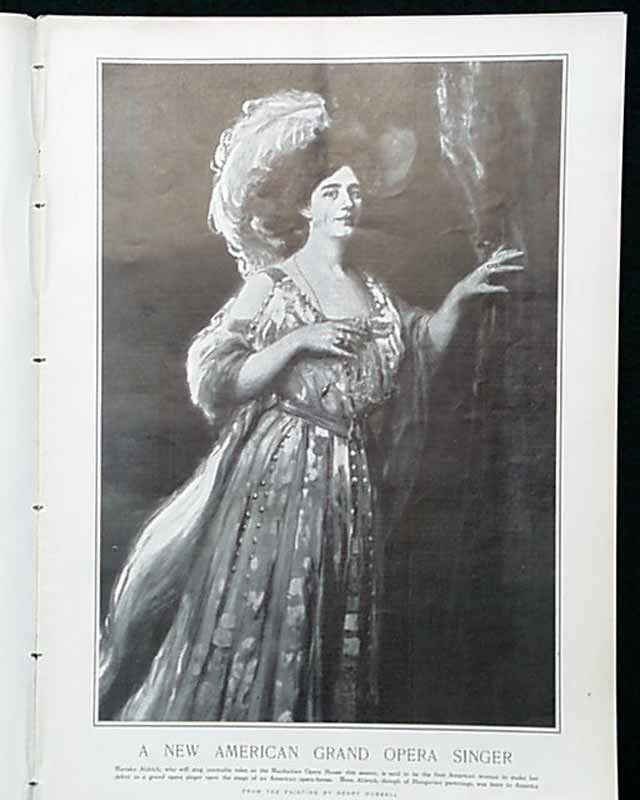 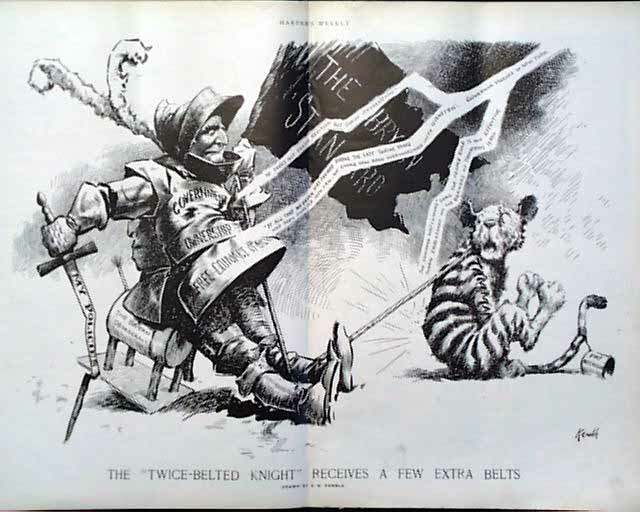 There are also full page illustrations of "A New American Grand Opera Singer" by Henry Hubbell; "Order Our of Chaos" by Will Foster and a double page illustration by Kemble called "The 'Twice-Belted Knight' Receives a Few Extra Belts plus the eighth comic in Grill's "The White House Boys, Bill and Jack" and much more. 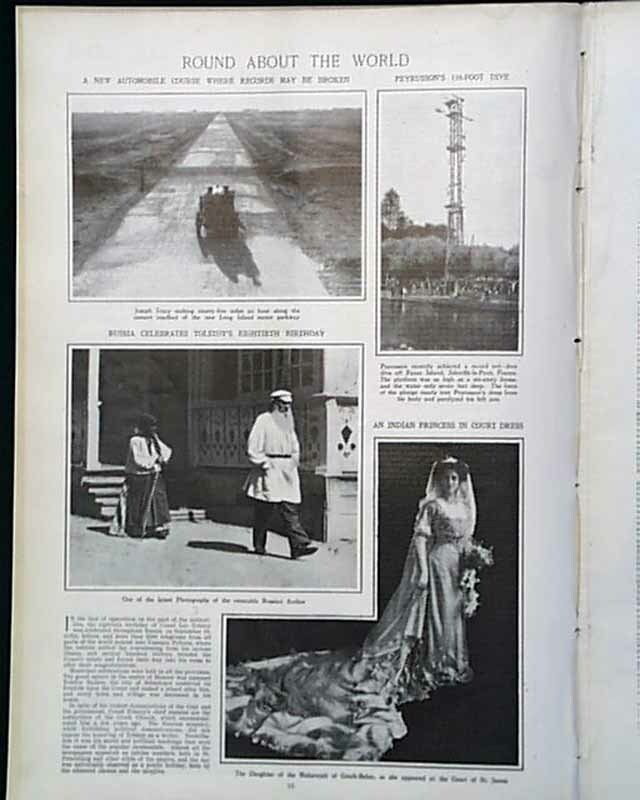 Other advertisements of the day are included as well.